Since our commencement, we are engaged in manufacturing, supplying and wholesaling Stone Studded Pendant. Employing modern machinery and cutting-edge technology, the offered pendant is designed with perfection by our vendors. 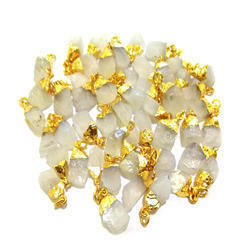 Additionally, the offered pendant is packed properly for safe dispatch at the clients' end. Garnet, 925 sterling silver pendant. Long garnet pendant, princess round pear shaped stone pendant. Keeping in mind diverse requirements of the clients, we are offering a quality tested array of Stone Studded Brass Pendant. The Stone Studded Brass Pendant we offer is widely demanded amongst the clients for their availability in various sizes. 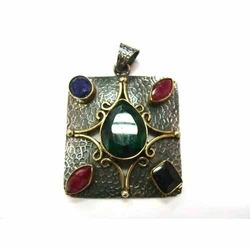 Fine Decorative Brass Stone Work Pendant Available In Different Designs & Sizes.